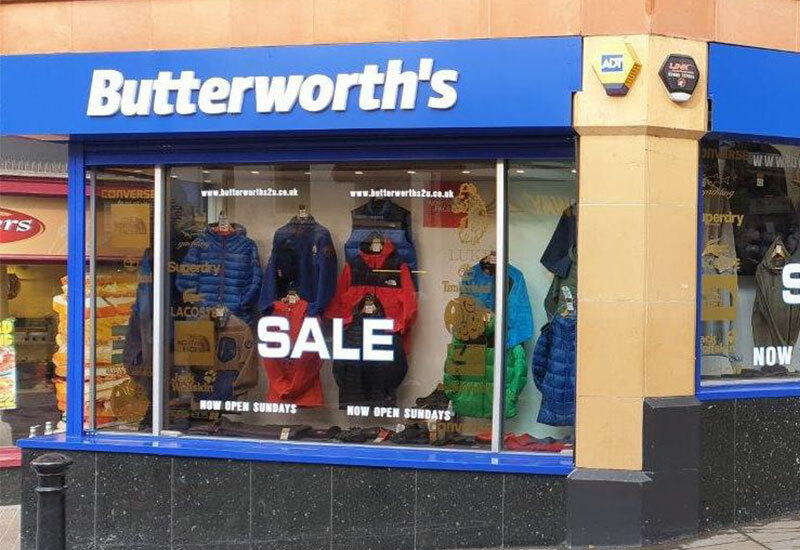 Butterworth’s of Rochdale is a family run independent Fashion/Casual Menswear retailer that has traded for over 40 years. Over this time, we have developed strong relationships with both our suppliers and customers. We do this by adhering steadfastly to our core principles of providing a wide choice of the LATEST QUALITY BRANDS At the most competitive prices. More importantly we back all this up with outstanding service. We hope that every new customer through our door, will in time become a regular customer. We hope that you like the products and the prices that we have to offer you, and that hopefully you will visit us again and again at the Rochdale Exchange Shopping Centre.